1) Separate brake pipe from brake hose. 2) Pull out clamp to remove brake hose. 3) Remove clamp at strut and union bolt. strut location using a clamp. Be sure brake hose is not twisted. 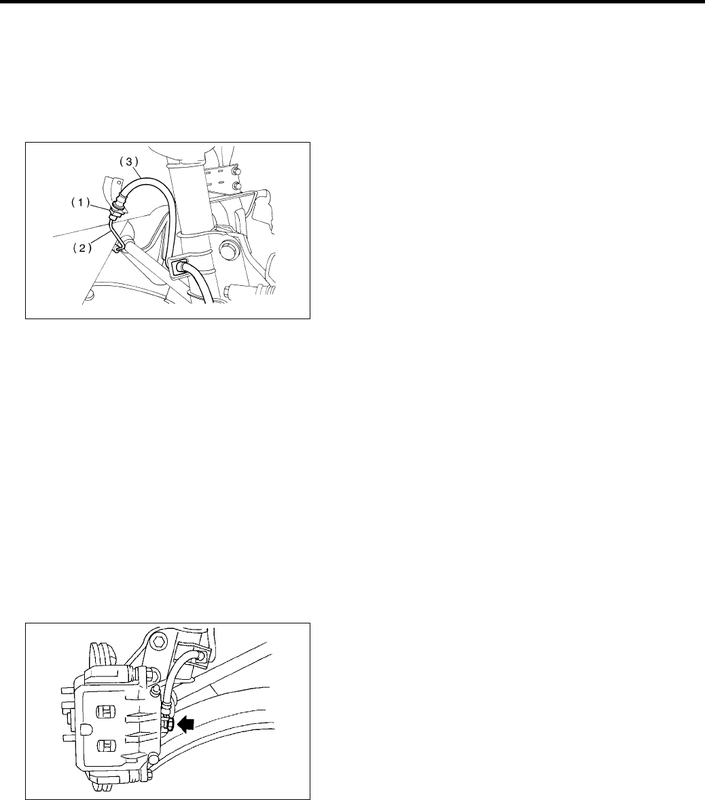 8) Bleed air from the brake system. and lightly tighten flare nut to connect brake pipe. 2) Insert clamp upward to fix brake hose. 4) Bleed air from the brake system.